This recipe is delicious but a tad bit expensive to make because it calls for flank steak. So … although I really enjoyed it, I probably won’t have it on a regular basis unless I can find flank steak on sale. 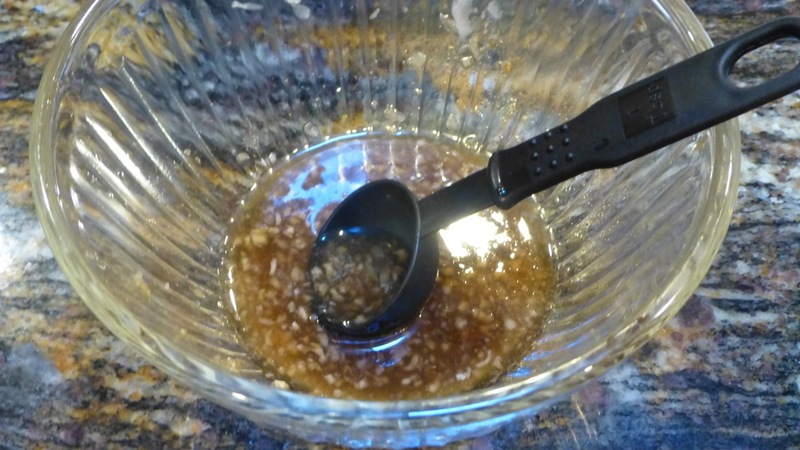 I started with the marinade which was pretty simple to make — just tossing a few ingredients together and whisking them. 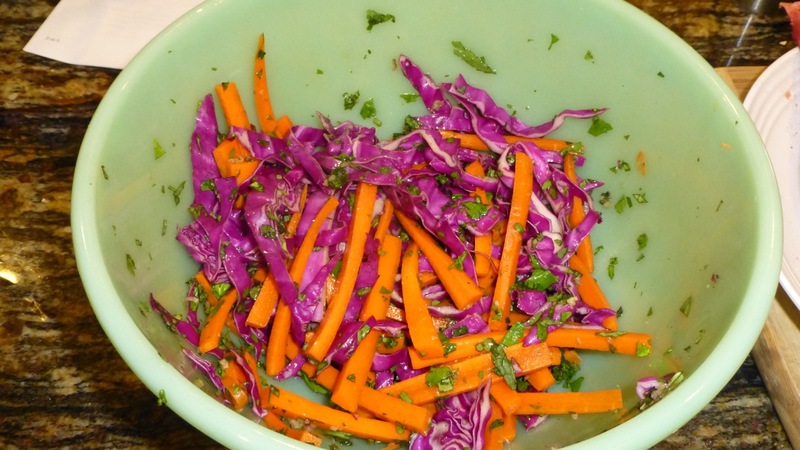 Next I combined the cabbage, carrots, mint, cilantro and basil together in a bowl. After grilling the flank steak, we cut it into thin slices then halved them. Then it was just a matter of tossing it all together. Truly delicious and great as leftovers also! I did “paleo-ize” (adapt) this recipe as it had ingredients we don’t normally use in our paleo diet. Ready to try it? Sprinkle the steak with pepper and salt. 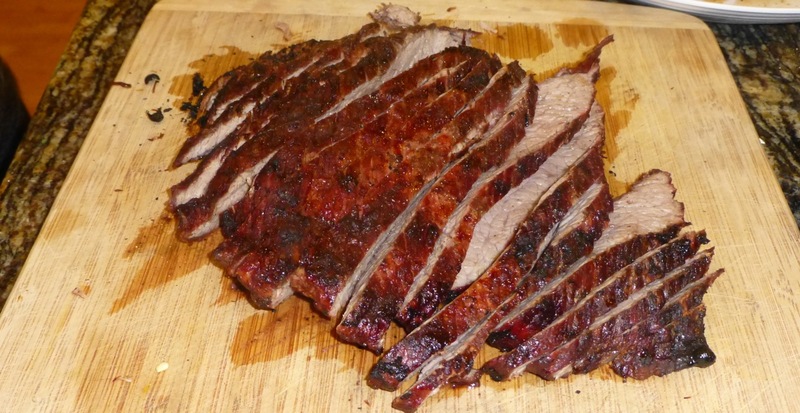 Grill the flank steak until it’s cooked to your level of doneness. Remove steak from the grill and let it sit for approximately 5 minutes. Cut the steak diagonally across the grain into thin slices. Combine the lime juice and the next 5 ingredients in a small bowl with a whisk to make the marinade. Combine the cabbage and the remaining ingredients in a separate medium bowl. Add 6 tablespoons of the marinade to the cabbage mixture and toss it well. 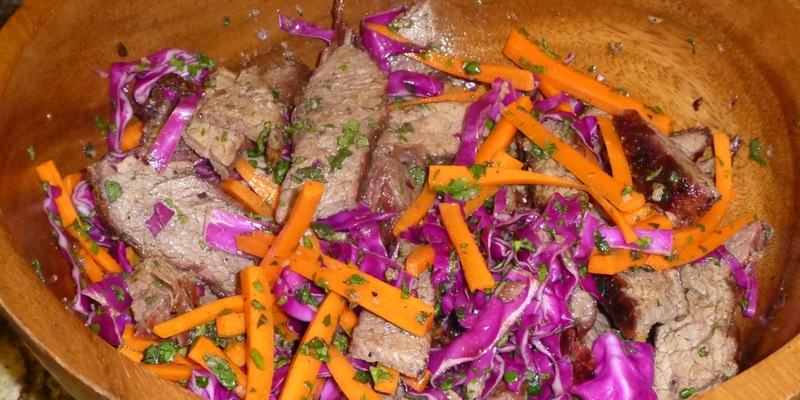 Add the steak to the cabbage bowl along with 2 tablespoons of the marinade and stir to combine this well. And there you have it! Thai Steak Salad — done the paleo way.